The most INTRIGATING Thursday in Florence is coming. It opens on the day of the LOVERS. 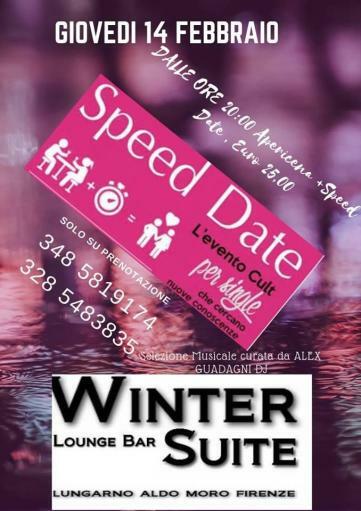 Book YOUR Apicene Participation with SPEED DATE. you can meet new people and FIND your Twin Soul.